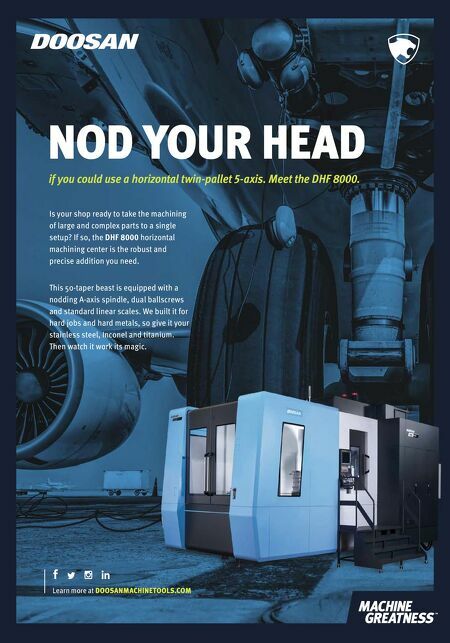 Learn more at DOOSANMACHINETOOLS.COM NOD YOUR HEAD if you could use a horizontal twin-pallet 5-axis. Meet the DHF 8000. 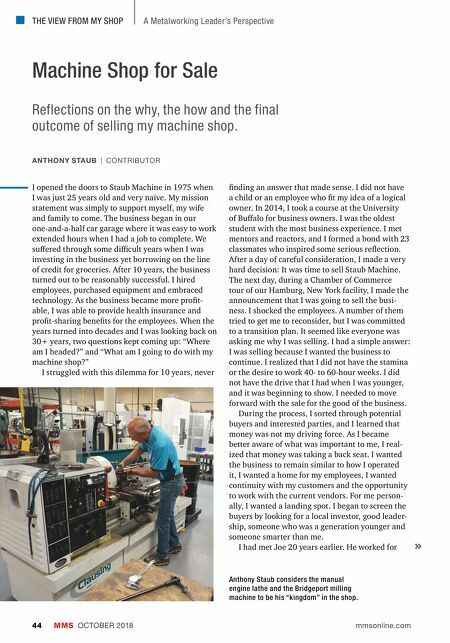 Is your shop ready to take the machining of large and complex parts to a single setup? If so, the DHF 8000 horizontal machining center is the robust and precise addition you need. This 50-taper beast is equipped with a nodding A-axis spindle, dual ballscrews and standard linear scales. We built it for hard jobs and hard metals, so give it your stainless steel, Inconel and titanium. Then watch it work its magic.